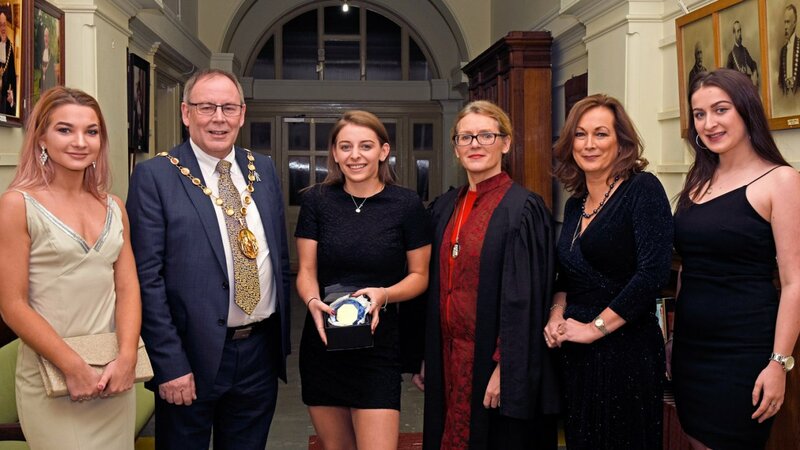 The Kingsley School were delighted to welcome Heidi Meyers, Master of the Lord Leycester Hospital, as guest speaker for their annual Winter Prize Giving ceremony on Friday 8th December 2017. Mrs Meyers, the first female master in the Lord Leycester Hospital’s 450 year history, spoke passionately about hard work, its rewards and a love of the ‘quiet’ prizes of friendship, respect, good will, selflessness and a peaceful mind. Mrs Meyers referenced Theodore Roosevelt’s quote that ‘the best prize that life has to offer is the chance to work hard at work worth doing’; inspiring the girls who were beginning their higher education pathways. A strong female role model, Mrs Meyers was assigned as the Senior Political Advisor to the Commander of Land Forces NATO, as well as having worked in US Foreign Service and Defence with assignments at the Pentagon, SHAPE and in Kabul. After her speech, Mrs Meyers presented academic certificates and individual awards to students, with a special Kingsley Rose Award for girls who exemplify the spirit and ethos of the school in their attitude, conduct and behaviour towards staff and fellow pupils. This year’s winners are: Sophie Hawthorn (16, from Balsall Common), Erica McCallum (17, from Leamington Spa), and Elisabeth Olexa (17, from Warwick). The Prize Giving event was also attended by Deputy Mayor, Heather Calver, and Chairman of the Warwick District Council, Allan Boad.